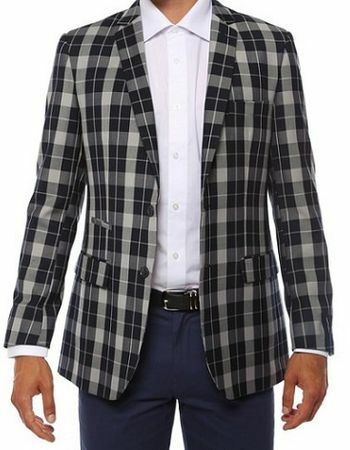 Nothing will say style more than this navy 2 button checkered plaid slim fit blazer by Ferrecci. Ferrecci as usual has their finger on the pulse of style and their collection of slim fit blazers have the attitude to get you into that night club in South Beach and ready to Party. This blazer has 2 rear side vents and notch lapels. Made of Polyster/Viscose.